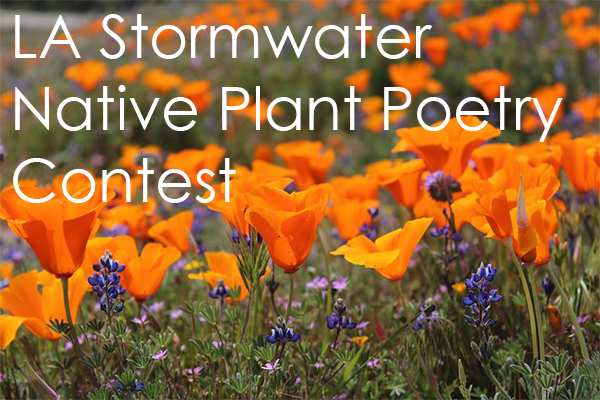 Poets and creative writers, submit your original poetry about California native plants to LA Stormwater’s Native Plant Poetry Contest for the chance to win a gift certificate from the Theodore Payne Foundation’s plant nursery. Everyone who enters will receive a free Discover Your Watershed Moment cotton tote bag from LA Stormwater, which is the City’s groundwater and watershed protection program. The contest – which is open to all residents of Los Angeles County – closes at midnight PST on Thursday, May 31.